Get this 1 in wide classic leather dog collar with buckle. Sizes: 14-40 in. Colors: black, brown, tan. 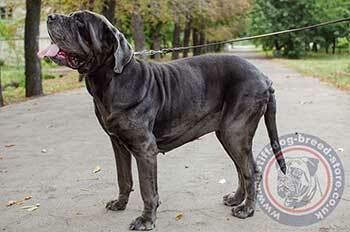 Neapolitan Mastiff collar is a strong and reliable tool of classic design. Neapolitan Mastiff is a strong dog and a genuine leather, quality dog collar is exactly what you need to handle, control and train Neapolitan Mastiff dog. 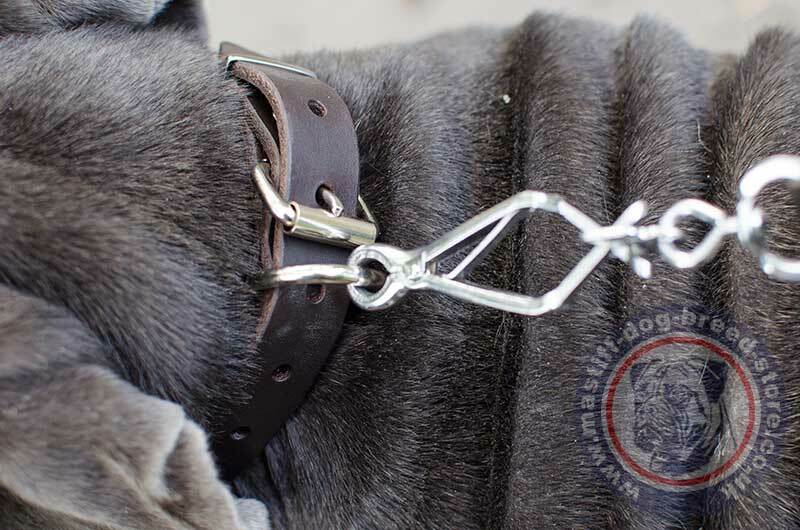 This classic dog collar with buckle is wide, thick and well-done to endure huge loadings and to make a dog feel comfortable under a handler's control. There is a classic buckle, additional holes for easy adjusting and strong D-ring for lead or handle fastening. 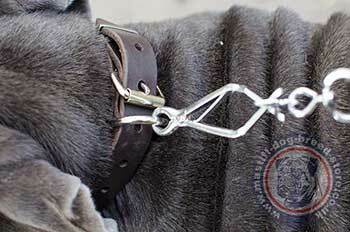 Classic dog collar perfectly suits for Neapolitan Mastiff daily walking and training.